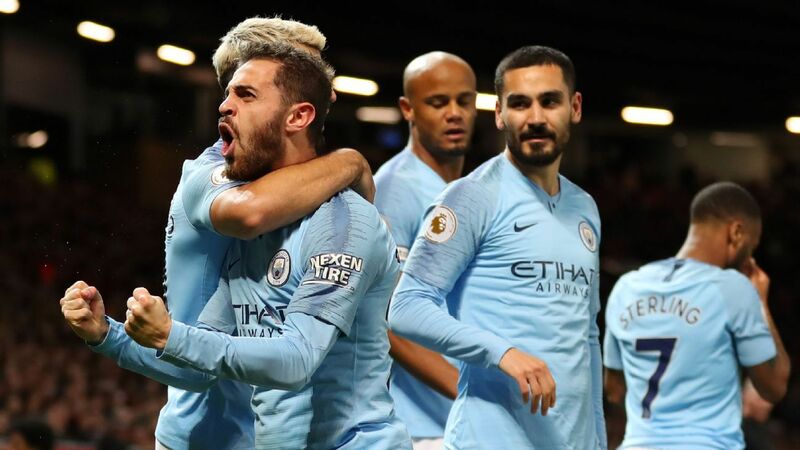 Liverpool have matched Manchester City every step of the way, but after beating United, City's destiny is set fair as the first back-to-back champions for a decade. ESPN FC's Craig Burley was left deeply underwhelmed by Manchester United's latest defeat to title-chasing Manchester City. Soccer is a beautiful game. When it's played "the right way," it can be a pure experience. And yet, you need a little evil in there. Here are some of the players who take that to heart. Arsenal have a new manager in Unai Emery but after another prideless away defeat at Wolves, Nick Ames asks if anything has really changed? Mohamed Salah was recently named one of the world's most influential people by Time Magazine - cue a flying visit to New York to mix it with the stars. ESPN Fantasy Football: Sign up now! Manage your squad in the Premier League, Champions League, MLS, La Liga and Liga MX. The host of 'Always Late' on ESPN+ checked a big item on her bucket list when she visited Anfield. The world's best striker has his sights set on an NFL career. Why can't he make it happen? To celebrate the release of "Captain Marvel," ESPN and Marvel teamed up to turn our favorite soccer captains into galaxy-dominating superheroes. On Feb. 8, a fire at an uninspected youth dormitory at one of Brazil's highest-earning teams caused 10 preventable deaths. How? Some of soccer's biggest grudge matches take place over the final three months of the season. Here's your must-have guide. The tragic disappearance of Emiliano Sala, bound for new club Cardiff on a single-engine plane, raises the question: How did this happen? A United States legend came out of retirement, again. We were in San Diego to see how Landon Donovan got on and to ask him: "Why?" For most clubs, losing a star like Frenkie De Jong would be a killer. For Ajax, it's their business model. In an exclusive interview, Christian Pulisic reflects on his time in Germany, the challenge of playing in the Premier League and the state of the USMNT. When Boca Juniors and River Plate were set to meet in Argentina's most important match ever, Buenos Aires lost its mind. Sergio Ramos is a master, Wilfried Zaha knows how to win a free kick and chicanery from corners can be crucial. Welcome to the dark arts. Deliberate isolation. Petty feuds. Constant turmoil. The Manchester United manager wouldn't have it any other way. Football hot spots: Where are players produced in the countries of Europe's biggest leagues? We examine the UK and Ireland, Germany, Italy, Spain and France to look at areas of production and ask our writers to explain the results. The biggest problem with the Champions League is that it's trying to be everything to everyone. It's time for the tournament to go rogue. In November 2016, Brazilian underdogs Chapecoense boarded a plane to play in the game of their lives. Instead, their biggest moment turned into a tragedy no one can forget.